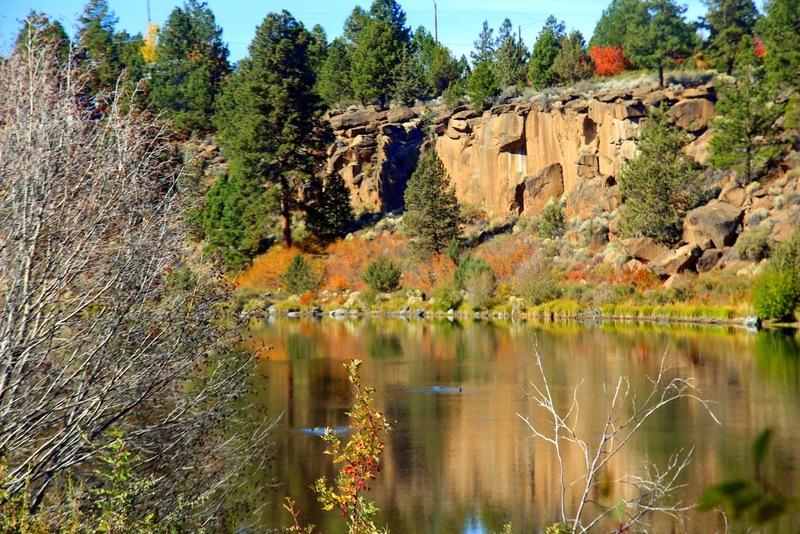 I took this photo last October… that’s what we have to look forward to. Stunning. Perhaps though, one of the main reasons I love it so much is that the colder weather and harvest of vegetables is great excuse to make lots and lots of soup. I love soup. I think it’s the perfect meal. It’s also a really excellent vehicle for bread which I also adore. 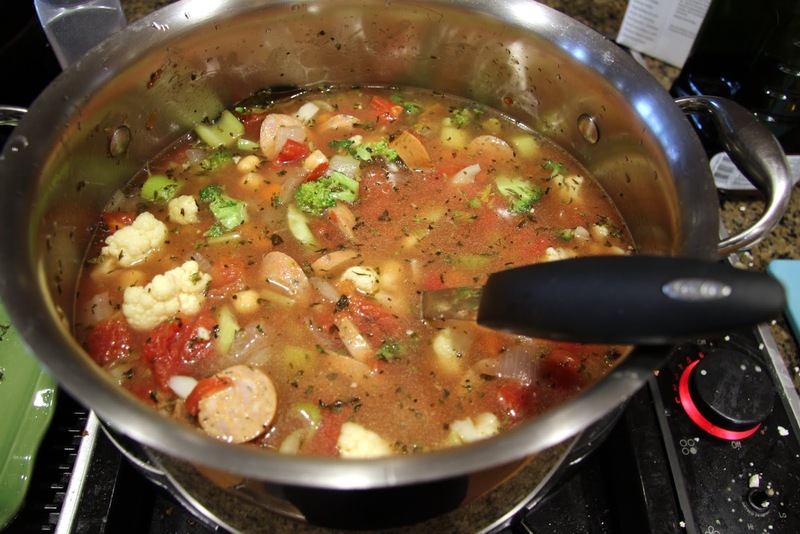 While watching my girls play soccer in particularly chilly weather yesterday, I decided to make this soup using some Italian chicken sausage I got at Costco and the overabundance of vegetables in my crisper. 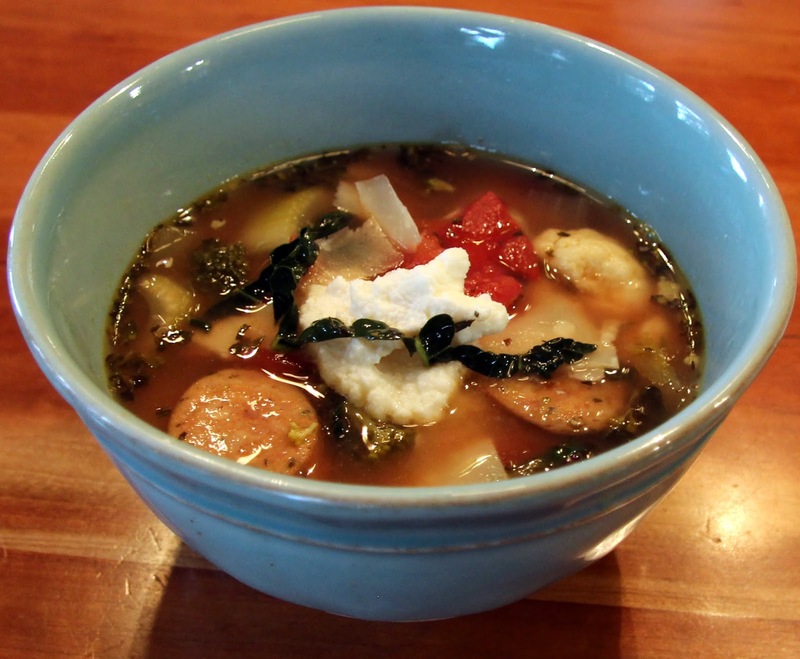 I tend to go overboard and buy way too many veggies at the market – soup is a perfect way to use them up. Don’t get caught up too much with the details of the recipe here and use what you have as long as proportions stay similar. 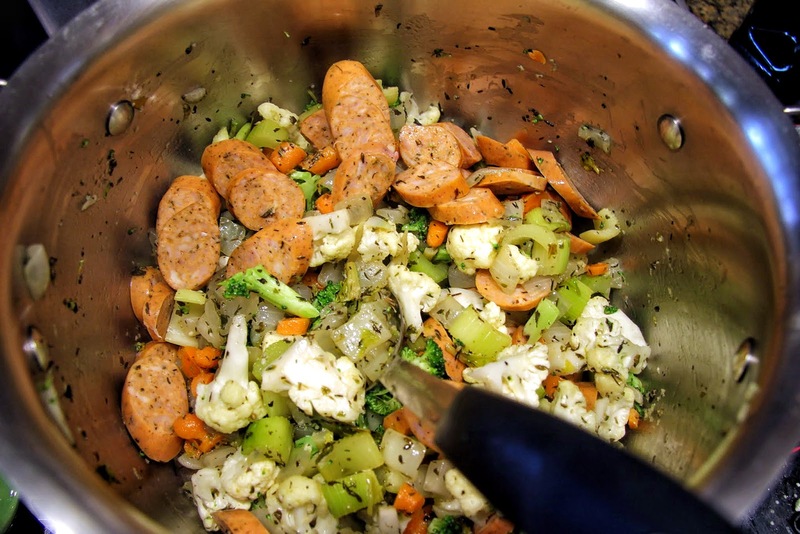 Mushrooms, zucchini, bell peppers, corn, potatoes, cabbage, fennel; all would work well and if you have fresh herbs, by all means, double or triple the amount and use them in place of the dried. 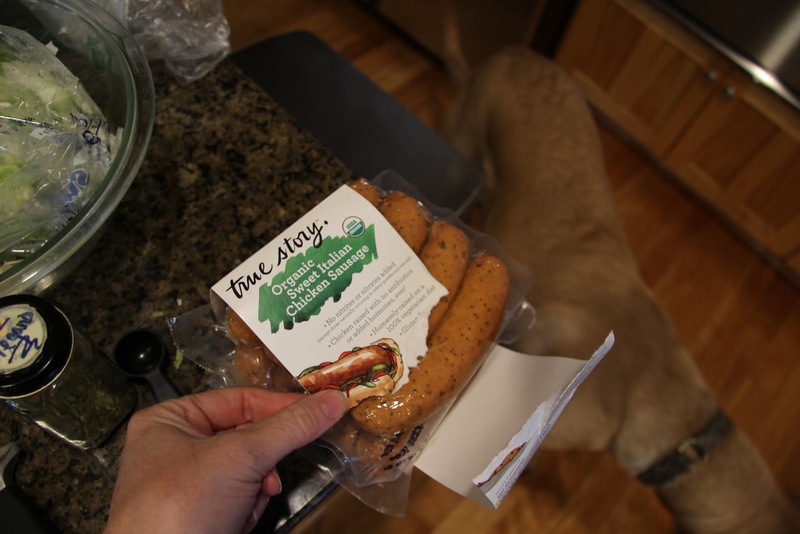 Also, you could use a different type of Italian sausage or meatballs or omit the meat entirely if you wish and add more beans. 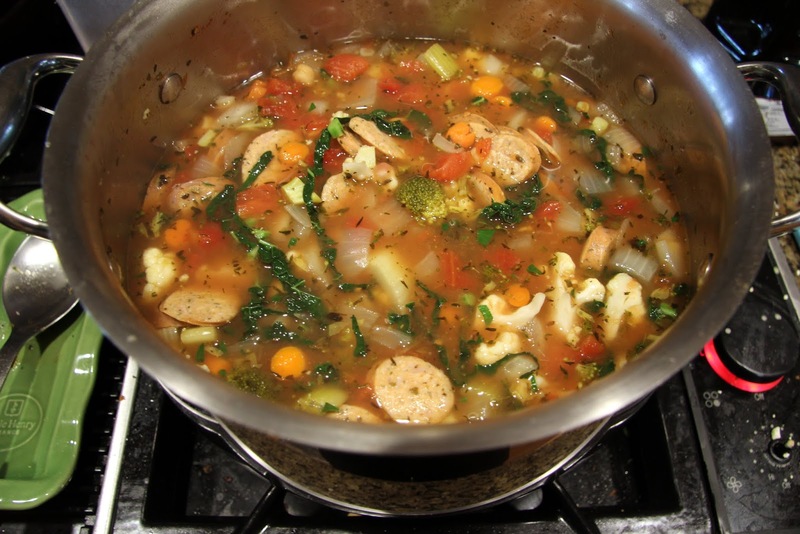 Some people are intimidated by making soup but it really is so simple and forgiving. You might think the addition of the ricotta garnish sounds weird. I was inspired to try it because I knew the soup would be slightly spicy for Ella and I wanted something to mellow it out like sour cream does for chili. Grated mozzarella would have done the job too but I didn’t have any. I’d like to say it worked on Ella but it didn’t – she hated the texture. She’s a tough sell. Bob, Hailey and I however, loved it so it stays in the recipe although it is certainly not required. 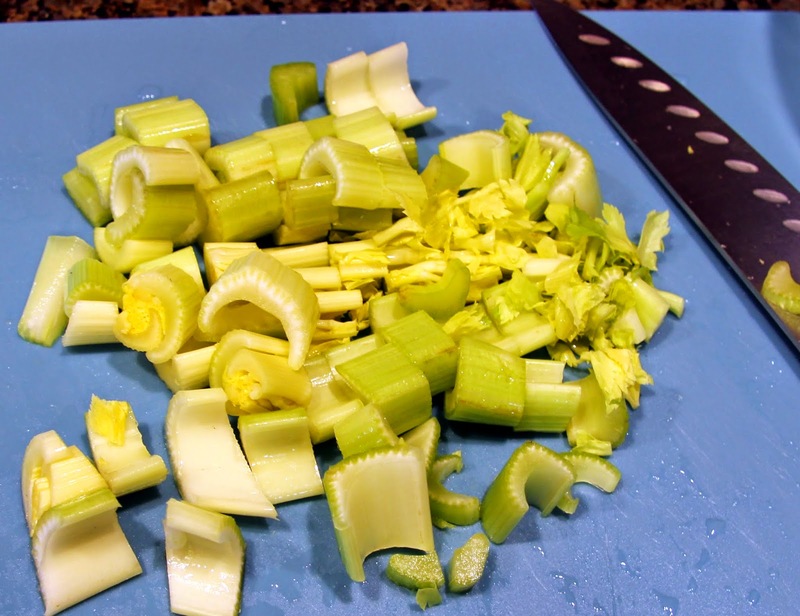 Chop onion, celery and carrots into medium size pieces (about 1 inch). 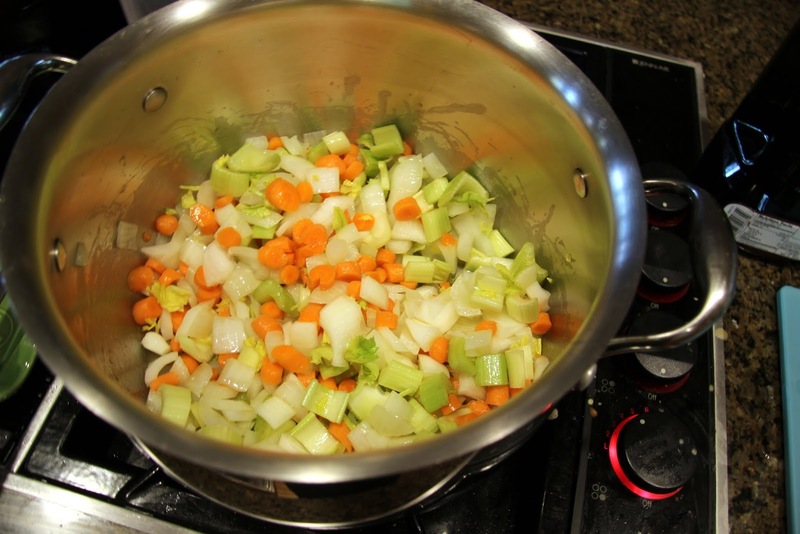 Add olive oil to coat the bottom of a large stock pot. 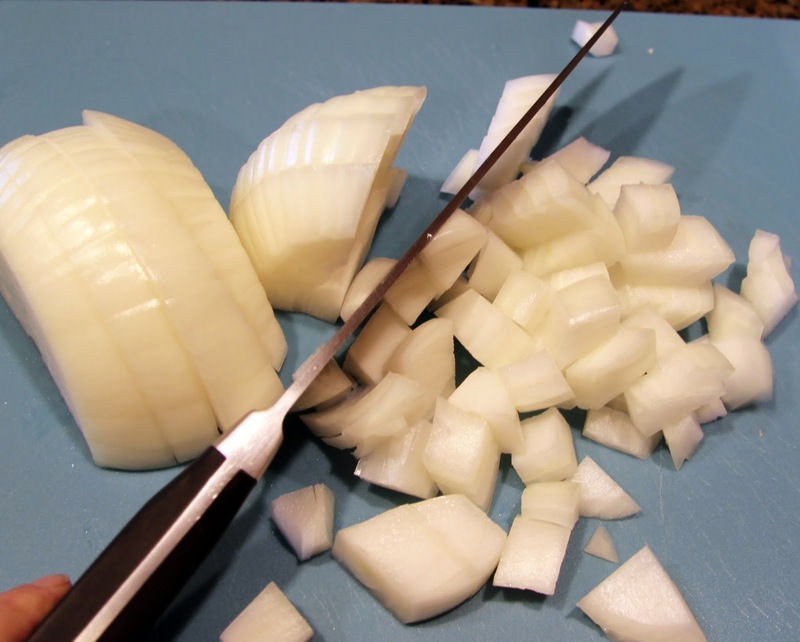 Add onions, celery and carrots and saute over medium-high heat, stirring often, until the onions begin to turn translucent then turn the stove down to medium. Stir in bay leaf, basil, oregano, thyme, red pepper flake, cinnamon, salt and pepper. Grate in garlic cloves (You can finely chop them if you don’t have a microplane. Why don’t you have a microplane?). 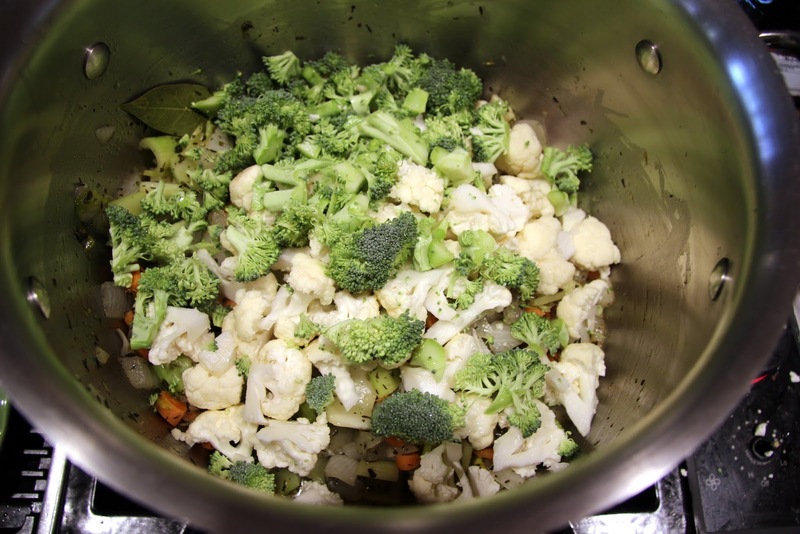 Add cauliflower and broccoli florets. 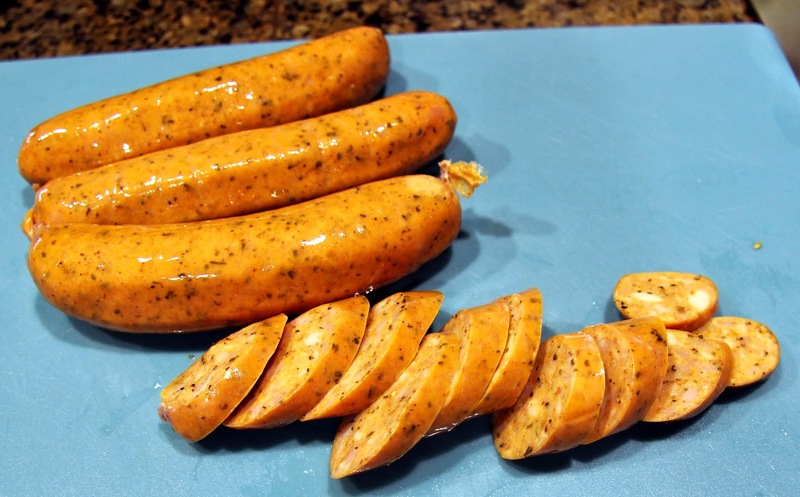 Slice sausages into about 1/4 inch slices and add to veggies. 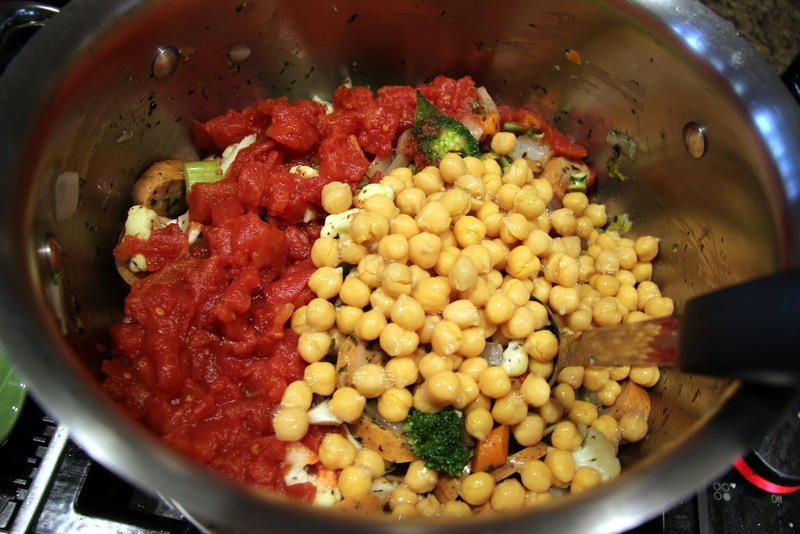 Add diced tomatoes and drained, rinsed white beans. 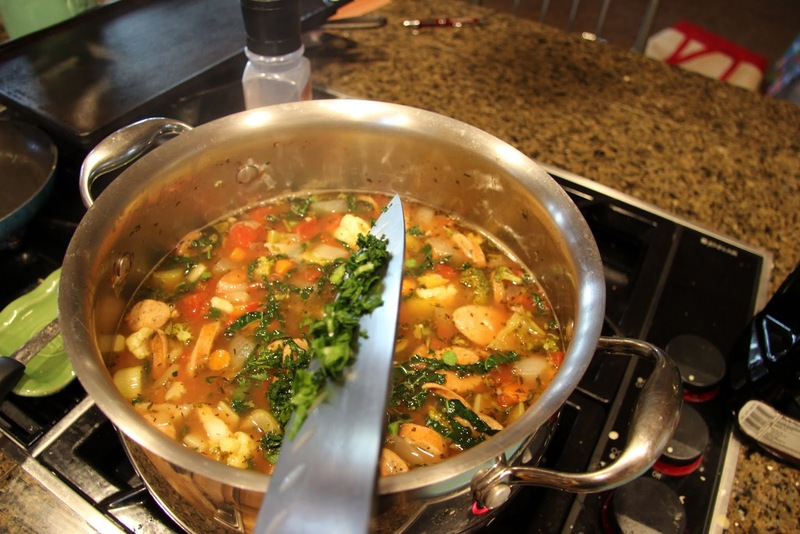 Add chicken broth/stock, stir, cover and bring to a simmer on medium – high heat. 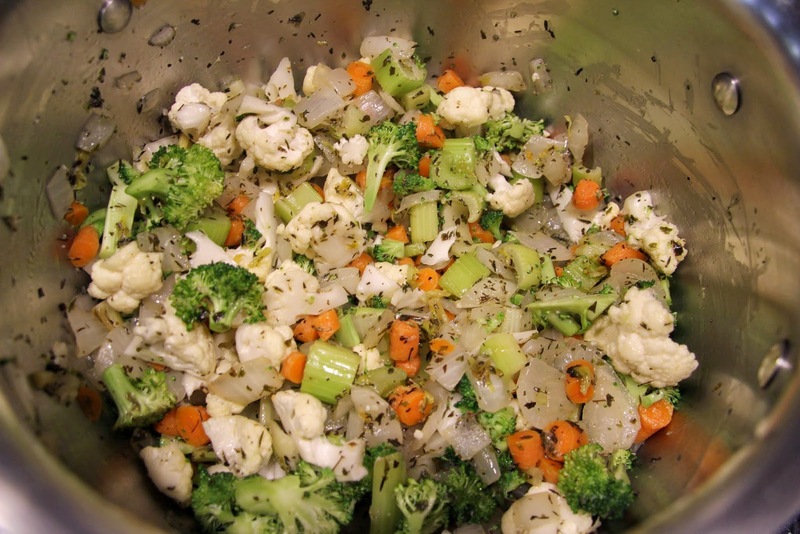 Turn heat down to low and simmer for about 30 minutes or until the veggies become tender. 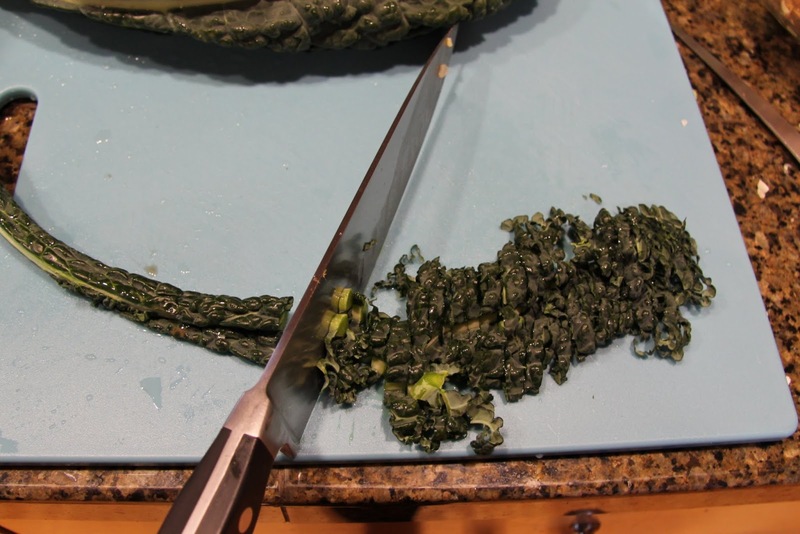 Thinly slice kale into ribbons, about 4 leaves, discarding the tough stem. 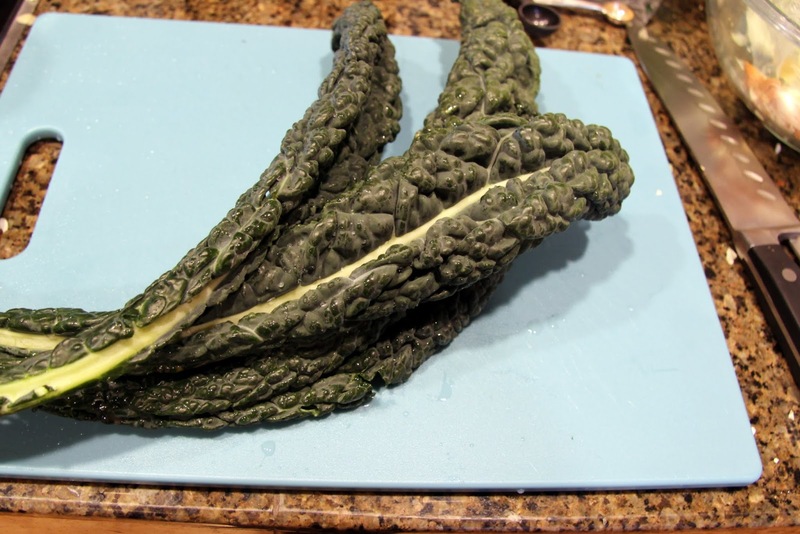 I like the lacinato kale because it’s flavor is more mild and it’s not quite as tough as standard curly kale. 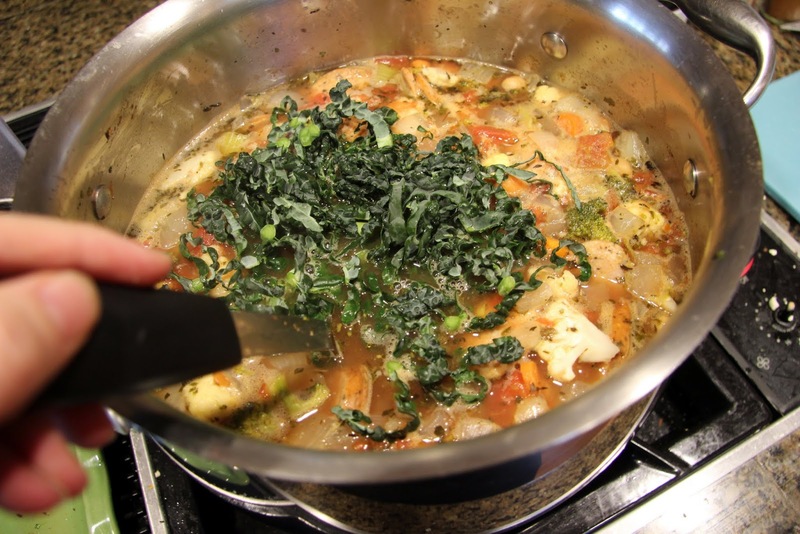 Stir in kale and chopped parsley and allow to cook for about 5 more minutes or until kale is tender. 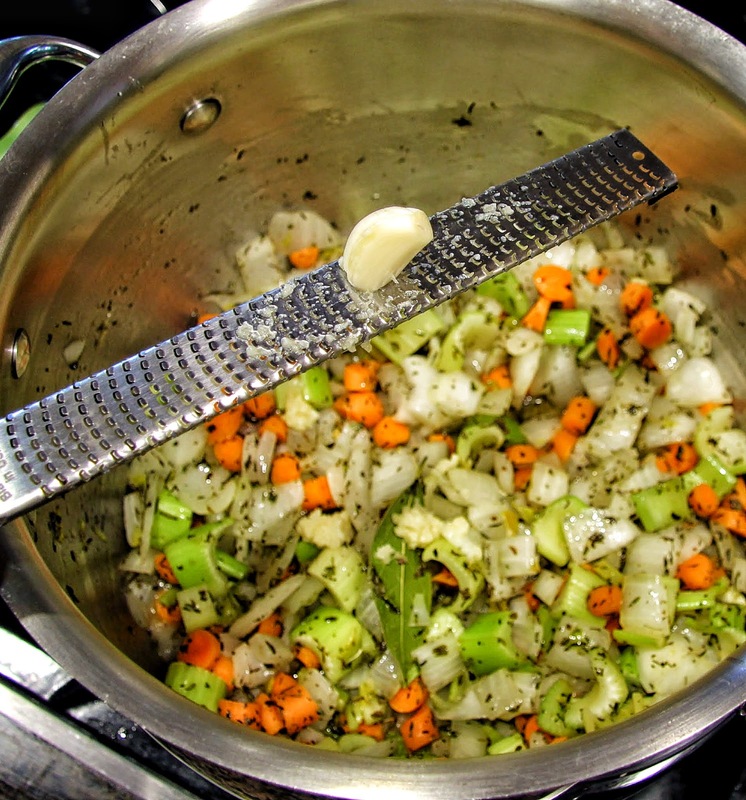 Taste the soup and add more salt/pepper/spice as needed. 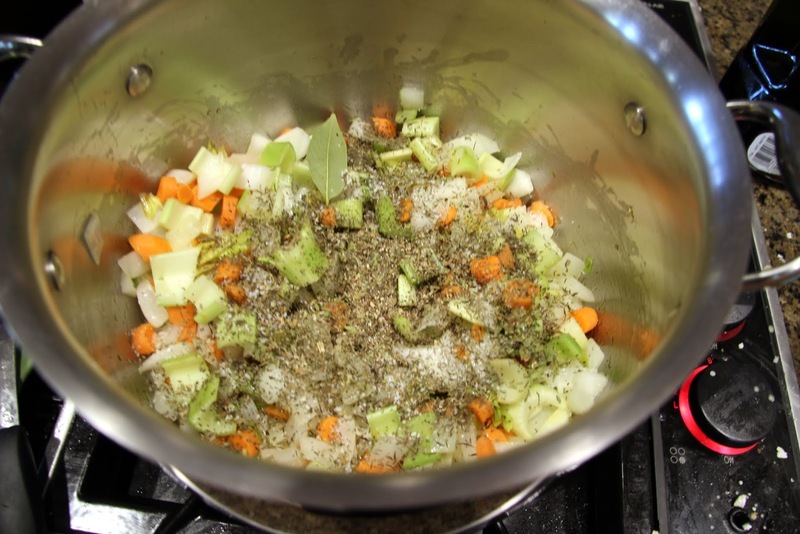 The amount of salt in the type of chicken broth or stock you use can greatly vary so you may not need to add any or you may need a couple more good pinches. 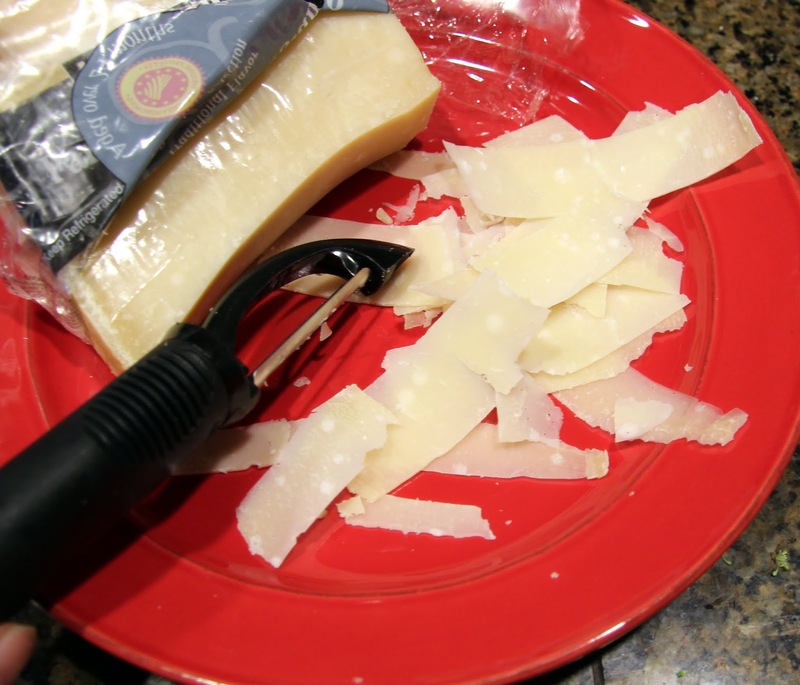 Using a vegetable peeler, shave enough parmigiano reggiano to garnish the amount of soup you will be serving. 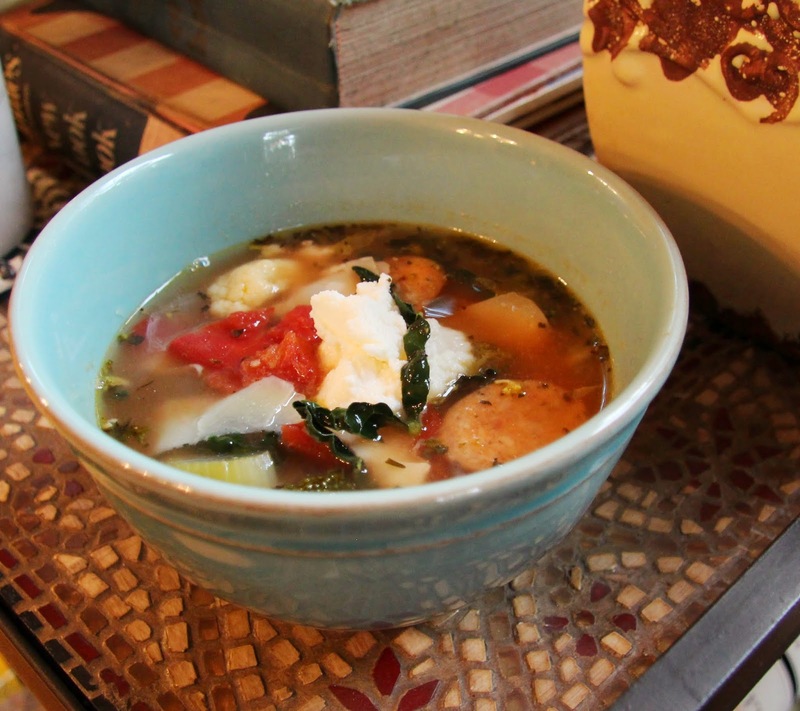 Serve hot soup with the parmigiano reggiano, a dollop of ricotta and lots of yummy bread! 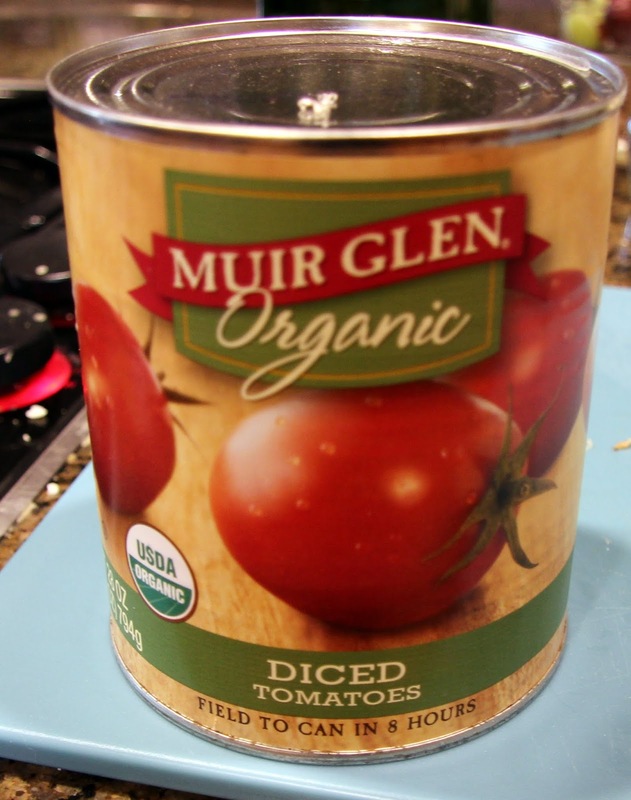 Freeze or refrigerate the rest of the soup. 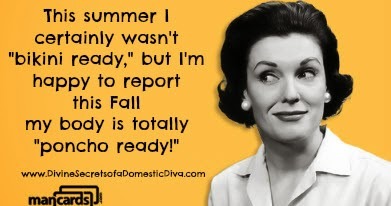 One of the many reasons I welcome fall!! !